Talent Management is one of the most important topics within HR these days. Pretty much everyone is aware of how difficult it is to find the right talent. But once great new people are hired and on boarded, many companies have difficulties continuing their care for them. The first step is a proper goalsetting. This is not necessarily only meant to assess the employees’ achievements at the end of the year in order to determine a bonus payment. For new employees it is even more a kind of guideline, helping them find their way and understand how to function successfully in the new role. 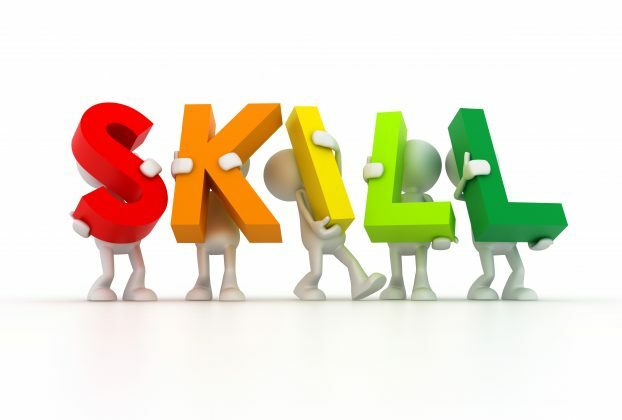 Secondly, hard and soft skills need to be reviewed regularly in order to gain a good assessment about an employee’s potential. Some are great performers and need more challenges, others are doing good but have some shortfalls that can easily be adjusted with the right training. Most corporate companies have a broad spectrum of trainings as well as additional educational programs that can easily be applied in order to develop employees the way it is needed. In many cases rating systems are used in order to assess the potential of employees at least once a year. Round table sessions are organized in which every employees’ performance is being discussed and development plans are set-up –a complex and time consuming process. Employees are being informed about the outcome later on but have no interference moment whatsoever. High potentials are being heavily supported and set on respective development paths and good performers are stimulated to keep up the good work. The rest is either accepted as average performers or closely watched if underperformance is detected. These processes are typically conducted focussing on the internal workforce, meaning employees that are on the payroll of the company. But what about all the external employees? There are very few companies nowadays that are not working with a kind of flexible workforce. Especially in the IT arena highly skilled and experienced specialists are hired as consultants and project managers into the external workforce. These mostly self-employed people very often have crucial roles on important projects that are running over years in different locations. They are hired as solution specialists, innovators, change drivers etc., but in most cases they are externals, even if they stay on a project for a longer period of time. So why is this part of the workforce mostly not part of the assessment cycles? Why do companies pay a lot of money for freelance consultants, but do not have a clue how they perform at all? The experience shows that in many cases not even the acquisition of external employees is properly managed, so how can we even expect that assessments are conducted for this group of people? However, looking at the amount of money that is spent on a yearly basis for external consultants, companies should care more. Why don’t they? Mainly because it is a long-lasting and complex process that costs too much time and effort for internal staff already. The solution is easy! A tool is needed that enables a 360° assessment in an easy and time saving way. EclectiC developed this tool a few years ago. It is a web-based application that can easily be customized to a company’s needs and design. The assessment of an employee (internal as well as external) can be conducted in only a few minutes from any kind of mobile device or computer. Every employee can receive a 360° feedback, i.e. he/she can be assessed by managers, colleagues and subordinates. Furthermore the employee is asked to do a self-assessment in order to determine the level of self-reflection. The results are given on a scale of 1 to 10 where 10 is the best. There are different views on the results of the individuals: average result, individual result per skill, team results etc. The individual as well as the manager receives a full result reporting after an assessment has been completed. The big advantage for every company using this application is not only the huge time saving and the fun and easiness of using it, but it delivers valuable information on the whole workforce that can be used for different purposes over years. The longer the tool is used the more relevant data is stored. It is pretty much building a corporate memory which is very handy in particular when you are looking for a consultant with specific skills that has once been working on a project with your company and did very well. The search function of the tool will bring this and all other relevant candidates up for your current need. In addition you’ll better be able to determine, if a consultant is worth the money he/she is asking for and if you should hire him/her for a future project again. You have a lot of comparison data now! If you were to reduce your external staff for some unfortunate reason, you’d have the chance to take a more objective decision using the information from the tool. “Make talent management an efficient, fair and objective process in your company.